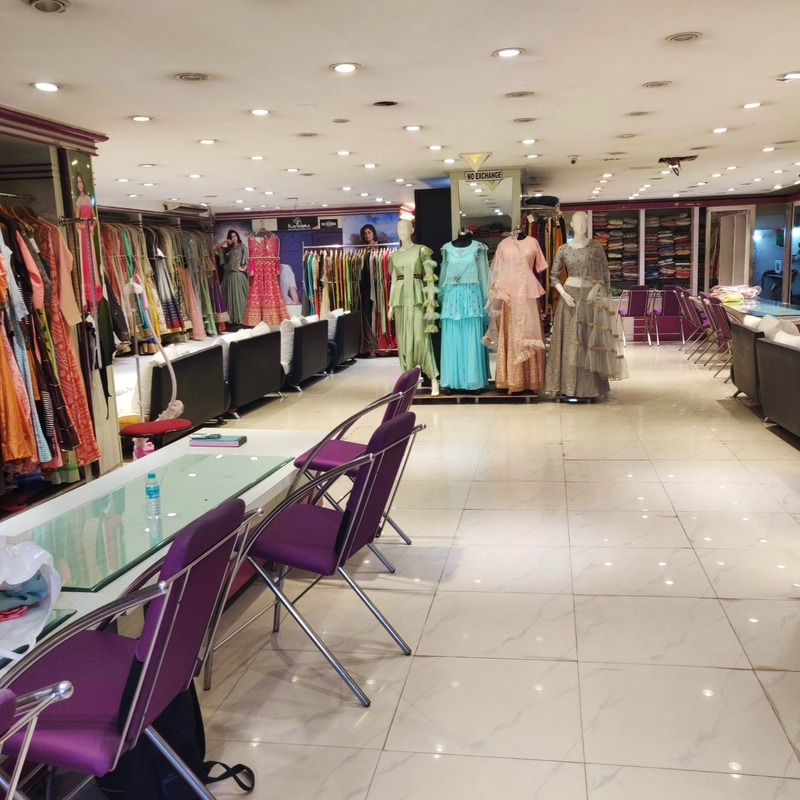 Pick up clothes belonging to the newest fashion trends at Karishma boutique in Nungambakkam. With exclusive women's clothing, this boutique has a dedicated collection of pre-wedding and post-wedding apparel. What makes Karishma awesome and different from other boutiques is their exclusive collection of salwar suits. The concept of salwar suits isn't common in many boutiques, but here in Karishma, you can buy them starting INR 3,000. These salwar suits come from Jaipur, Mumbai, and Calcutta, and can go up to INR 25,000. You'll find these in fabrics like Chiffon, Georgette, tussar, silk, chanderi silk, linen, and malmal cotton. You can also shop for festive wear here - they've got tunics kurtis, anarkalis, lehenga cholis, palazzos, sharraras, and gowns. The crop-top skirt ensemble is unique here and perfect for cocktail parties. We really like their gown collection - the blue netted gown with Swarovski stones and embroidery is perfect for a sangeet ceremony and is priced at INR 15,000. The kurti collection here is pretty epic! We love the summer collection loaded with linen and cotton kurtis which will make your life easier. Block prints, traditional Jaipuri prints, and kalamkari, these kurtis are gorgeous. Our fave is the breezy blue and white linen kurti and Palazzo set priced at 1,600. Karishma is worth checking out for both casual clothing and bridal wear.